Infrastructure projects were the top picks for MPs, with 40 per cent of the total funds spent on the development of railways, roadways, pathways and bridges. Agriculture and allied sector-related facilities were the lowest in the preference order for spending, accounting for just 2.4 per cent of the total spend. 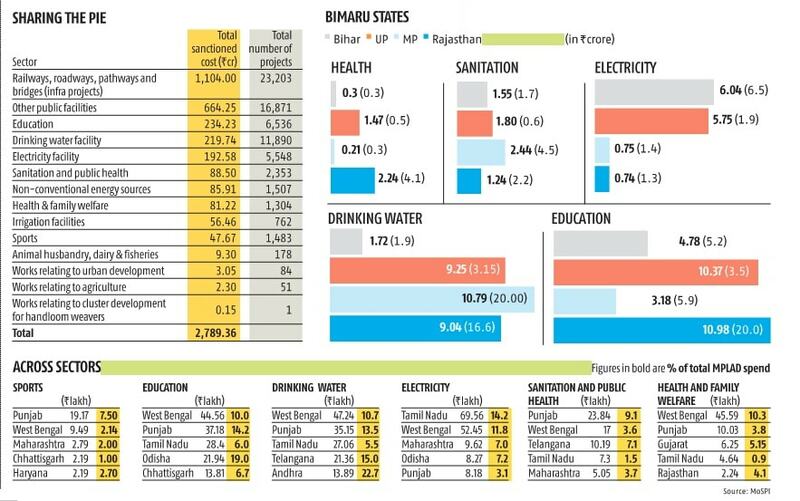 Punjab and West Bengal MPs were the top spenders in the social sector. Punjab MPs allocated half of their MPLAD funds to social sectors like education, drinking water, sports and sanitation and public health. West Bengal MPs followed at over 40 per cent.